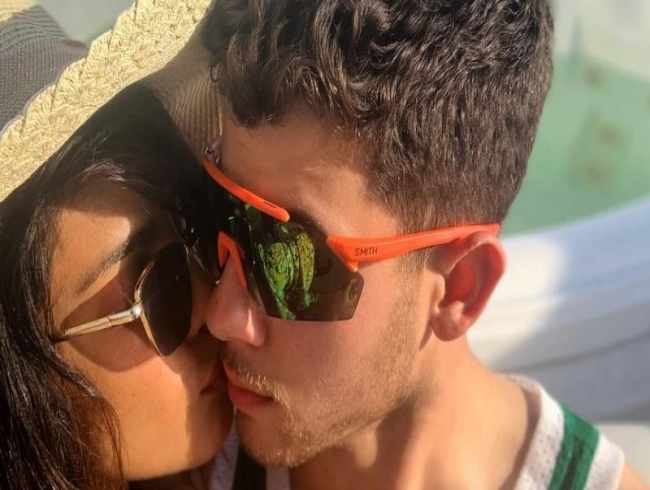 However, Priyanka's latest picture with hubby Nick is all about love and romance. Priyanka posted a picture with a lovely caption. She wrote, "Making hay while the sun shines.. ??" Well in this picture, PeeCee can be seen giving a peck to Nick. Their romantic moment is indeed blossoming love inside many people's heart. We must say that Priyanka knows how to create an opportunity for making love to her dear hubby. On the work front, Priyanka was recently seen in Jonas brother's comeback video song, Sucker. The actress is also making her Bollywood comeback with the film 'The Sky Is Pink' opposite Farhan Akhtar and Zaira Wasim. The film is slated to release this year.